Annie's Teeny Tiny Quilt Shop (anniesttqs.com) is a cozy little country shop nestled in the woods of Limerick, Maine. 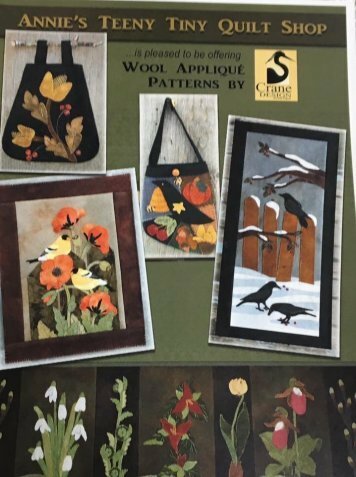 We carry a delightful selection of quality fabrics and sewing notions, along with our own hand-dyed Baa Baa Wool, and a variety of books and patterns to inspire your creativity. Whether you have product questions, or could use some new project ideas, we’re always happy to assist you with friendly smiles, a few laughs and perhaps, a cookie or two! We offer a variety ongoing classes, as well as workshops featuring nationally known teachers, relaxing quilt retreats, and we have been known to take fun "field trips" to other quilt shops.